TALES FROM BEYOND THE PALE LIVE: The Stanley Film Fest Edition! Glass Eye Pix is returning to the Stanley Film Festival with the Stanley Edition of TALES FROM BEYOND THE PALE LIVE. Other events include FANGORIA and Shock Till You Drop’s Dead Right Horror Trivia Night, a Horror Immersion Game, Murder Mystery Dinner and Big Wheel Death Race. Check out the full press release below and stay tuned for the full film lineup! “The Stanley Film Festival (SFF) produced by the Denver Film Society and presented by NBC Universal’s Chiller, announced today its Opening Night film and several special event highlights and experiences taking place at the four-day event (April 24-27). The Stanley Film Festival celebrates the best in independent horror cinema at the hotel that inspired The Shining. The Festival will host a full slate of films, panels, competitions, and special events – all at the beautiful and historically haunted Stanley Hotel. “We are thrilled to open this year’s Festival with a locally-produced film. The Denver Film Society is excited by the strength of the work we are seeing come out of our home state and we cannot think of a better way to celebrate the iconic status of the Stanley Hotel than with a film produced right here in Colorado,” says Denver Film Society Festival Director, Britta Erickson. In addition to the Opening Night film, SFF announced it will host a series of events, sure to satisfy even the most dedicated horror fans. Throughout the Festival, “players” of the Horror Immersion Game will use multiple media platforms and game elements to delve deep into a mystery/horror narrative that uses the Stanley Hotel and the Festival as a vehicle to engage its participants in a story that seamlessly exists concurrently with everyday life. On Friday evening, Fangoria Entertainment and ShockTilYouDrop.com will bring their Dead Right Horror Trivia from Los Angeles to Estes Park. Saturday evening, Glass Eye Pix will present The Stanley Edition of TALES FROM BEYOND THE PALE with hosts, Larry Fessenden and Glenn McQuaid, featuring two brand new tales performed at the Historic Park Theater in town by special guests with films at the Festival. Additional events include a Murder Mystery Dinner Friday evening, Zombie Crawl Saturday afternoon, and a Big Wheel Death Race on Sunday morning, all at the Stanley Hotel. The Stanley Film Festival will celebrate their programming announcement this evening with an advance screening of the film Oculus at the Reel Mountain Theater in Estes Park. The film will be followed by a post screening Q&A with Director Mike Flanagan, producer and SFF alum Jason Blum and Producer Trevor Macy and an after-party at the Stanley Hotel. ● Doc of the Dead – USA (Director: Alexandre O. Phillipe, Featuring George Romero, Simon Pegg, Bruce Campbell, Max Brooks, Tom Savini, Greg Nicotero, Robert Kirkman) – Could there be a real zombie outbreak? If so, Doc of the Dead can help you prepare. This definitive guide to all things undead delves deep into the evolution of the zombie genre in film and literature, as well as its impact and influence on pop culture, to deliver a comprehensive, fast-paced, highly entertaining look at a contemporary social pandemic of global proportions. 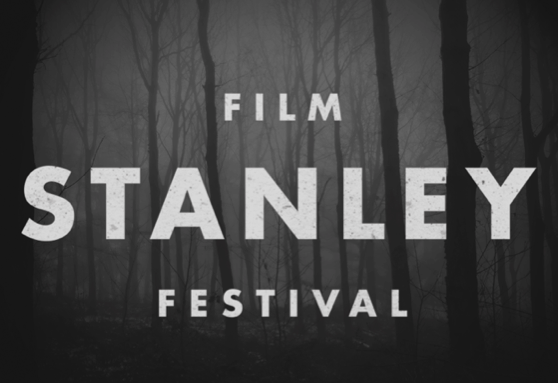 ● HORROR IMMERSION GAME Bleeding seamlessly into the atmosphere of fear and suspense we are excited to announce the Stanley Film Festival’s Inaugural Immersive Horror Game, a real horror/mystery narrative using the Festival itself as its medium. Those who follow the clues opt in to the game, becoming the protagonists of an engaging and creepy interactive thriller culminating in an irreproducible climax you can never unsee. ● DEAD RIGHT HORROR TRIVIA HOSTED BY FANGORIA ENTERTAINMENT AND SHOCKTILYOUDROP.COM Do you consume horror as voraciously as zombies eat flesh? The hit Los Angeles horror event comes to the Stanley Film Festival! Join Fangoria’s Rebekah McKendry and ShockTillYouDrop.com’s Ryan Turek and test your horror knowledge in eight rounds of terrifyingly titillating trivia. Scare yourself with how much you actually know about horror. Trivia will be held early Friday evening at the Wheel Bar in Estes Park. Come with a team or join one there. All are welcome. ● MURDER MYSTERY DINNER Murder is afoot at the old Stanley Hotel. Guests of the festival are welcome to register for a night of intrigue and deception unraveling over a wonderful three-course meal as they become their very own detectives. ● BIG WHEEL DEATH RACE Guests will racethrough the expansive grounds of the Stanley Hotel on their very own adult sized big wheel, just like Danny Torrance. Festival pass holders will have an opportunity to race using adult sized big wheels on a course that runs the grounds of the Stanley Hotel. Registration will take place at the guest relations table for teams of four for a relay style race between 32 teams to determine one winner who will walk away with a complimentary stay at the Stanley Hotel.